This sample shows how Paris can be used in the healthcare industry to produce complex and expensive reports, such as Behavior Flow Record reports, on plain paper in duplex. 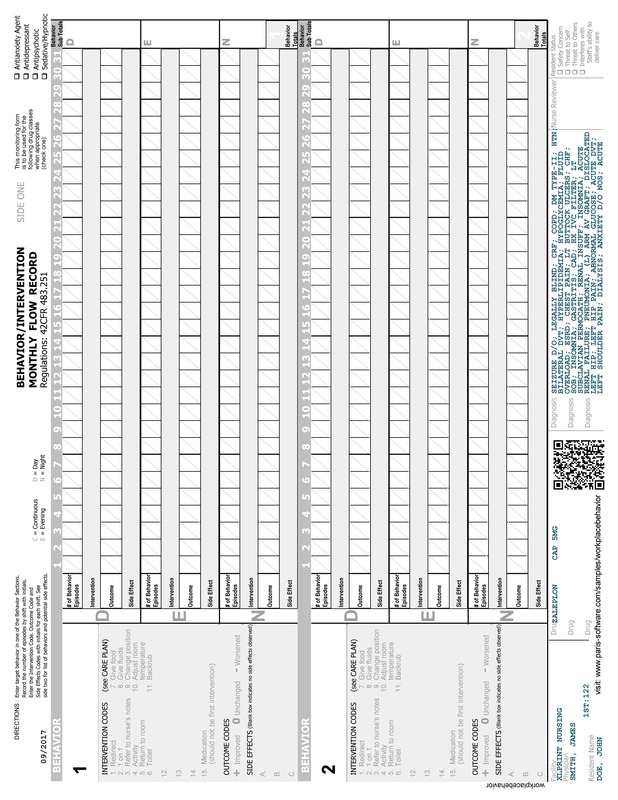 In this example, we are have designed the complex front and back Behavior Flow Record forms in Paris and then use them to print on plain paper in duplex. No changes are required to your host system or process. We are highlighting patient information by printing it in blue. Nursing staff then complete the form and process it as they would normally.